Jeffrey Martin was born on August 11, 1964 in Seattle, Washington. Jeffrey has 18 years of Investment Management experience and is President of CIM Financial Group. Jeffrey’s entrepreneurial spirit and strong work ethic began to show as a boy delivering the Seattle Post Intelligencer before school and the Seattle Times in the afternoon. As a high school student he started his first business, The Car Deck, a car stereo sales and installation company. Jeffrey graduated with honors from Lynnwood High School in 1982. In 1984 he graduated at the top of his class of 200 from the United States Naval Advanced Electronics School in Chicago, Illinois. He worked the next eleven years as an electronics technician and applications engineer for two Bellevue, Washington electronics firms. 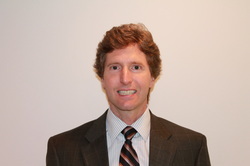 Jeffrey began his career in investments in 1995 with Waddell & Reed, Inc. In 1996 he received the prestigious Circle of Champions Honor Award given to the top Waddell & Reed advisors nationally. From 1997 to 2002 Jeffrey was an independent advisor with G.A. Repple and Co. In 1997 and 1998 he received the Franklin Templeton Kite and Key Club award for outstanding service and commitment to his clients. In 2000 the WM Group of Funds recognized him for his outstanding achievements with their Strategic Asset Management portfolios and American Skandia awarded him their Outstanding Service award. In 2002 Jeffrey founded CIM Financial Group as a Registered Investment Advisor. ChFC®. Jeffrey is also a holder of the Chartered Mutual Fund Counselor designation from the Institute for Wealth Management. He was one of the first advisors to complete the rigorous CANSLIM Masters investment management training from Investors Business Daily and William O’Neil and Co. He has successfully passed the NASD Series 6, 7, 24, 63, and 65 securities license examinations. Teresa was born on May 30, 1969 in Fontana, California. She moved to Sequim, Washington in 1979 and graduated with honors from Sequim High School in 1987. She went to Peninsula College in Port Angeles, Washington where she earned a Liberal Arts Degree with honors in 1989, and then she earned a Bachelor of Arts – French Degree from the University of Washington in 1992. Lead Account Manager for the New Business and Commissions departments, working as liaison between insurance companies and writing agents to ensure all applications and insurance policies were processed correctly. This also involved limited underwriting of high risk applications. She also gained experience in the Accounting department where her duties included accounts receivable and mutual fund processing. 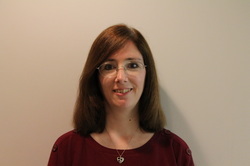 While working at Administrative Systems, Inc., Teresa was made Employee of the Quarter twice. direction, and is the Corporate Vice President and Secretary. She successfully passed her NASD Series 65 exam in 2007.